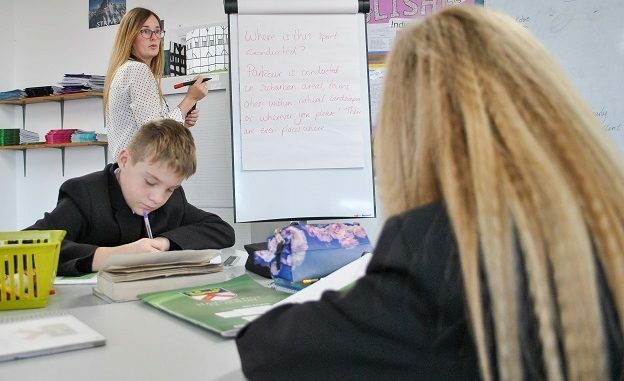 A radical overhaul to the way Year 7 students are being taught at Hartsdown Academy in Margate is already seeing “overwhelmingly positive” results. The school has changed the way Year 7 students take their classes to make a hybrid transition between primary and secondary school. The 110 youngsters currently in Year 7 have their day split into three parts. The first of these is literacy focusing on English, history, geography and ethics and philosophy. The second is numeracy centred around maths, science and computer science. The third part of the curriculum is taken by four or five different teachers and is based on subjects including art, music, PE, Spanish and for the first time British Sign Language. The structure is part of the International Baccalaureate Middle Years Programme which the school is in the process of being registered to formally deliver. The idea of the programme is to use real life situations for learning in a bid to get pupils to think strategically and independently. The programme is also taught at the successful Skinners Academy in Sevenoaks. 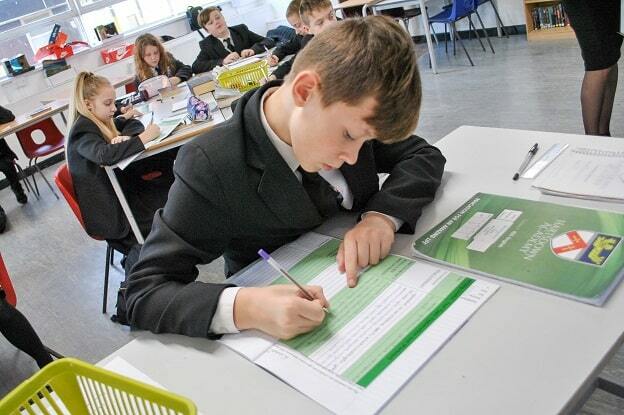 Head of year Harvey Ovenden said: “We decided to take a new approach to Year 7 and look at what they have been doing in primary school, with the support of Cliftonville primary. “We have put numeracy and literacy at the heart of the curriculum as the key topics they need to be successful in school and after school. “For the first two periods there is literacy, such as English and geography, taught by one teacher, and then numeracy which is taught by another teacher. This means the students have two main teachers that they see every day. It allows the teachers to get to know the kids a lot more and provides an excellent nurturing environment with the consistency the kids are used to at primary school. “it is a radical departure from what secondaries usually offer. BSL has been taught since September and Mr Ovenden said it also means greater inclusion for youngster in the hearing impaired unit and the chance for them to teach their peers. Mr Tate said: “The kids love it and we are hoping BSL will become a GCSE subject, which is being planned, so our Year 7s will be the first cohort to be able to take that qualification. Year 7s are also taking part in community schemes, such as litter picking and carol singing at residential homes, which is a key part of the IB programme. 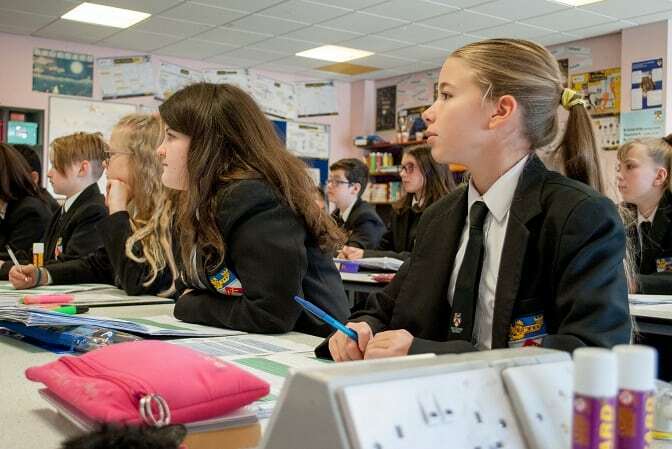 Hartsdown says the system, which still delivers the full curriculum but in the new way, is already showing benefits with all of the pupils saying they are building on their knowledge at primary compared to 43% feeling that way last year. My daughter is year 7 and responding to this amazing doing fantastic. The staff are brilliant for sorting any issues straight away fantastic setting. The Royal Harbour Academy in Ramsgate also runs the same curriculum and it has been transformative in the way students learn. Fantastic results and happy students!